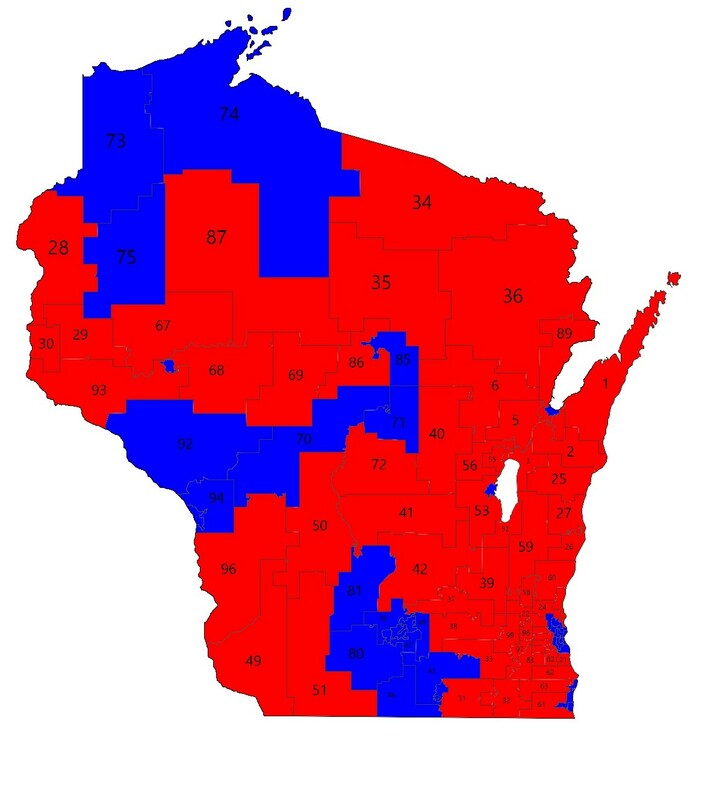 Last month, the Supreme Court heard arguments in Gill v. Whitford, which concerns gerrymandering in Wisconsin. Gill is the latest of many instances in which progressives have taken to the courts to advance their electoral cause when they couldn’t win at the polls. The plaintiffs in the case advanced a novel theory, the “efficiency gap,” which purports to varnish their old arguments with a fresh coat of mathematical certainty, replacing politics with math, whether the people agree or not. One problem with elevating recently invented theories to the level of constitutional law is that they are found nowhere in the Constitution. But even if you are willing to overlook that important detail, there is also the lack of evidence that the “efficiency gap” theory is true. It works for the Gill plaintiffs because they think it would achieve the result they want: more Democratic state legislators. But, as the 2017 House of Delegates elections in Virginia have recently shown us, the theory has serious flaws. There are many factors that go into the construction of legislative districts, some of which are necessarily at odds with one another. Since the 1840s, Congressional districts have in general been single-member and geographically contiguous. The same typically applies at the state level. There are also more general principles that are not codified in law, but that some people think should apply. These include compactness and a reluctance to divide “communities of interest” (areas that people expect to be together). State legislators also, traditionally, try not to lump two incumbent representatives into the same district, and often try to preserve the geographical distribution of seats. These considerations give legislators plenty to think about when drawing districts, even without the short- and long-term political concerns that can never me far from their minds. More recently, they have also had to contend with court-imposed strictures that make the task even more complicated. Good-government reformers have leapt from one new requirement to the next in an attempt to remove the politics from the inherently political process of redistricting — and the courts have helped them along the way. The Supreme Court has gotten involved in gerrymandering cases before Gill. In Baker v. Carr (1962), the Court overturned the precedent that redistricting decisions were political questions beyond the purview of the judiciary. 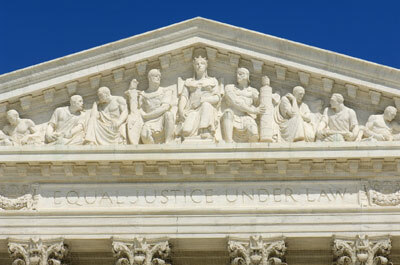 Two years later in Wesberry v. Sanders and Reynolds v. Sims, the Court invented the “one man, one vote” rule, which held that districts must be “as nearly of equal population as is practicable.” In the 1993 case of Shaw v. Reno, the Court held that gerrymandering based on race was subject to strict scrutiny by the judiciary, as “racial classifications of any sort pose the risk of lasting harm to our society.” At the same time, it held that the majority-minority districts required by the Voting Rights Act were not necessarily violations of the Constitution. These cases added necessarily vague restrictions on what state legislatures may do in drawing district lines. The Court recognized that exact equality of population is sometimes a mathematical impossibility, but declined to specify how much variance was acceptable. And it held that race-based redistricting was allowed, but only sometimes and only for a good reason, guaranteeing that it would get pulled into every redistricting dispute, since one party will always dispute that the other’s reasons are valid. Perhaps this is why in Vieth v. Jubelirer in 2004, the Court demanded a better standard before adding yet another judicially imposed requirement to the process of redistricting. In that case, as in Gill, the plaintiffs were Democrats who had come out on the losing side of a fight over redistricting. They called the result political gerrymandering, claimed it was unconstitutional, and demanded that the courts overturn the new maps. Wisconsin Republicans won 49 percent of the statewide legislative vote in 2012 while taking 60 percent of the seats in the State House. The exact way they did so resulted in an efficiency gap of 15 percent, according to the Stephanopoulos–McGhee formula, which the plaintiffs in Gill attributed directly to the district lines the Republican majority had drawn. By their logic, the way that Democrats were concentrated in some districts and dispersed in others meant that the election was unfair, and that the Supreme Court must step in. There is an enormous flaw that becomes immediately obvious in examining these results: The formula produces a number based on the statewide legislative vote, something that no voter considered when voting and no candidate considered when running. Like the popular vote for president, statewide vote totals for non-statewide offices are an interesting curiosity, but they have no legal effect. Republicans in Wisconsin were not trying to win the statewide vote any more than Donald Trump and Hillary Clinton were trying to win the nationwide popular vote. Instead, like every other candidate for office, Wisconsin State Assembly nominees were trying to win their own elections and to do so as efficiently as possible. In districts they judged to be non-competitive, the parties often did not run any candidate. This makes sense: Why recruit a candidate and spend scarce campaign dollars when the most likely result would be increasing your party’s vote from 0 to 20 or 30 percent? 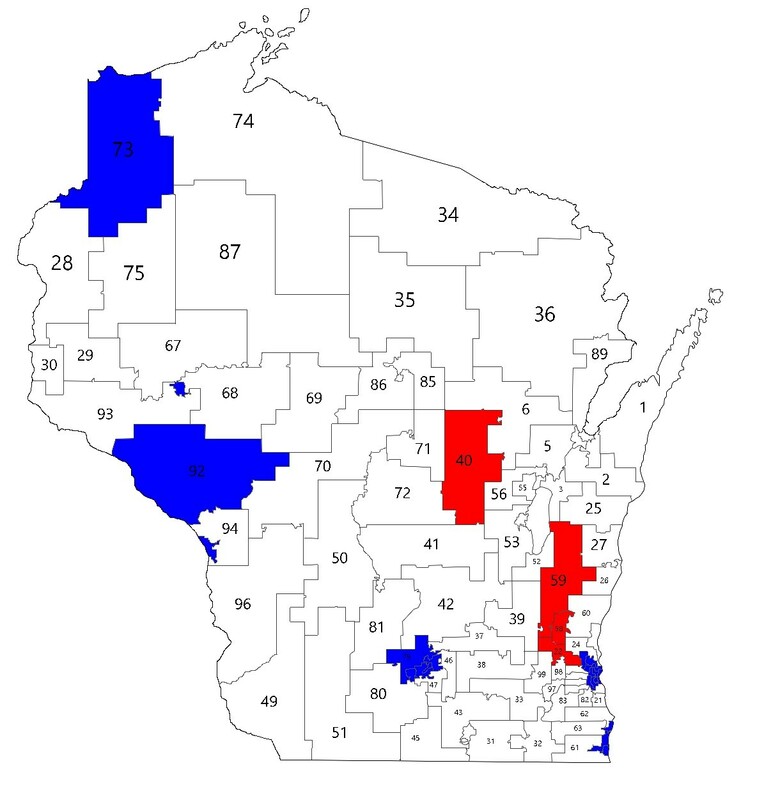 In 2012, the two major parties in Wisconsin made this calculation in 26 out of 99 state assembly districts. As a result, more than a quarter of the data used to calculate the statewide vote is completely worthless. In the remaining 73 districts, both major parties ran candidates, and Republicans took just over 55 percent of the combined vote. Which is to say that, if we restrict ourselves to districts where both parties actually tried to win, we get a negligible efficiency gap. The retort from Democrats would be that non-competitive districts are a symptom of the very problem they are fighting against: political gerrymandering. But this, again, takes a statewide view of 99 local races. In some of these assembly districts, the tightly packed urban areas favor Democrats so overwhelmingly that no Republican would stand much chance. But if the statewide vote counted for anything, they would run anyway and tally up the few votes available to them there. In a nation governed by the Gill plaintiffs’ math rather than by existing political reality, both parties certainly would run candidates in no-hope races like these. But even that is not a complete answer to the argument. The maps below show the 2012 results in all districts and in uncontested districts. Many of the races Democrats won in 2012 were in rural areas that were ancestrally Democratic but went for Trump in 2016. One of the uncontested Democratic seats from 2012, the 92nd, is now held by a Republican. The lack of competition is not just a matter of political gerrymandering. What factors led Republicans to ignore a district in 2012 that they would win in 2016? There could be any number of reasons, and the efficiency gap accounts for none of them. Sometimes, too, the parties are wrong about where they can win. Evidence of this can be seen in the 2017 Virginia House of Delegates elections. In Virginia, as in Wisconsin, previous years saw many state legislative seats go uncontested. But energized Democrats saw an opportunity to register their displeasure with President Trump this time around by running candidates in more districts than they had in years. The result was more than a protest vote: Democrats won five seats in 2017 that they did not contest in 2015, came close to winning several others, and increased their statewide vote total from 35 percent to 53 percent. Most of that vote increase, however, came not from statewide gains, as efficiency-gap devotees would have us believe, but from contesting more races. The statewide Democratic vote share in contested races only increased by 2.35 points, and Republicans still won a statewide majority in contested races in 2017 with 54 percent of the vote. The Democrats won their elections in Virginia by choosing to fight in more districts. They won real elections, not the derivative of an election, and now, pending the outcome of one tied race, could find themselves with a 50–50 split in the House of Delegates. The lesson to be learned here is that both parties should run more candidates, not that they should complain about losing in districts where they did not even try. Hopefully, Justice Kennedy will see the efficiency gap as the flawed metric it is, rather than the mystical solution he prophesied in Vieth. As a simplistic formula based in large part on nonsensical inputs, it fails even basic tests of usefulness. As a legal precedent, it would be far worse.